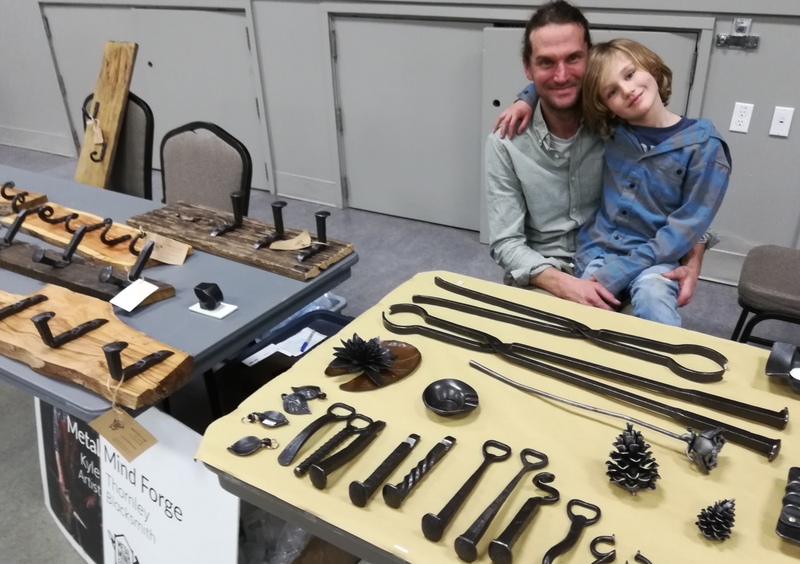 Revelstoke has no shortage of creative talent and plenty of it was on display today at the Revelstoke Crime Stoppers No Host Bazaar. 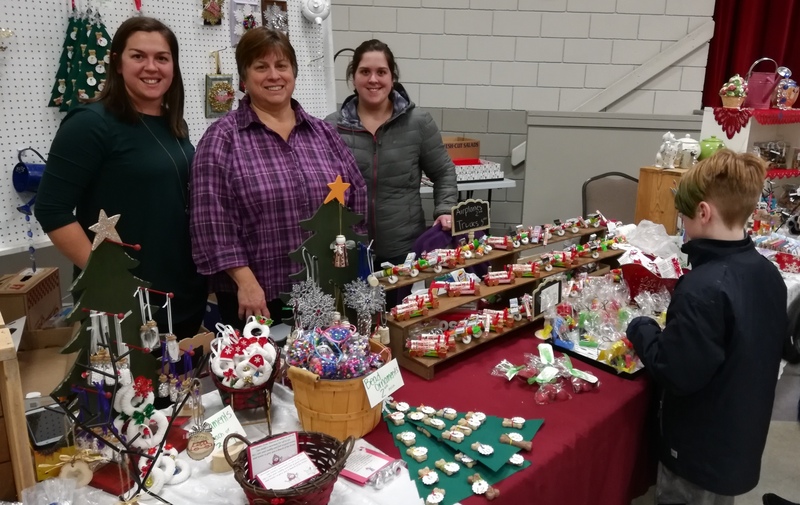 “It was decently busy, I’d say as much as last year, until about 1 pm,” says Kaitlin Kretchmer, a member for the Crime Stoppers Board of Directors in Revelstoke. 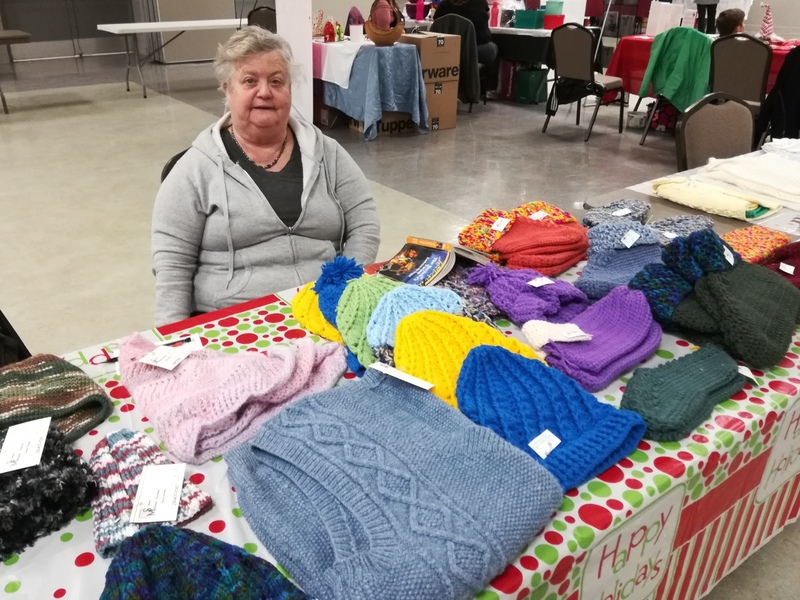 The No Host Bazaar, a fundraiser for the Revelstoke Crime Stoppers, was competing with the Gray Cup finals later in the afternoon, and the number of shoppers dropped dramatically. Still, the vendor feedback was positive and those making their end of day purchases were happy. 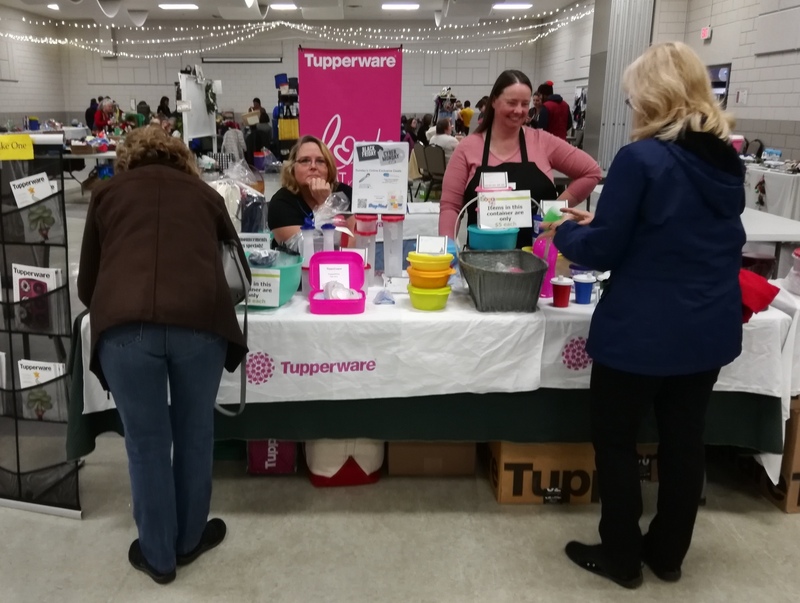 The silent auction table had items donated from numerous businesses and the kitchen sold plenty of hot dogs and burgers, also supplied by generous local donations. 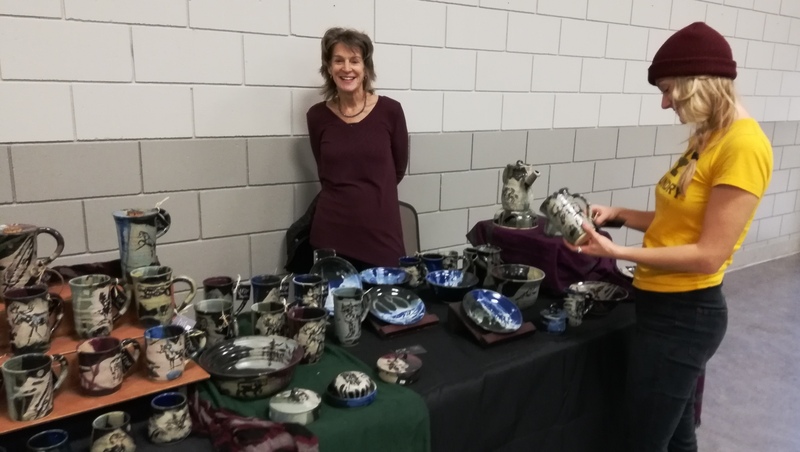 The event brought a mix of vendors. 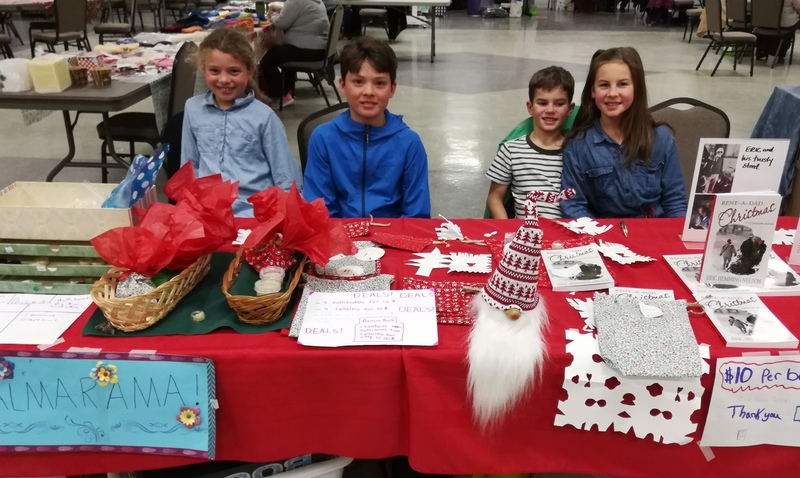 Local kids with an entrepreneurial streak (who also excelled in sales, I now have lip balm and a bag I wasn’t planning on purchasing), metal workers, essential oils, Christmas wreaths, kids clothing, painting, pottery, and more were represented. 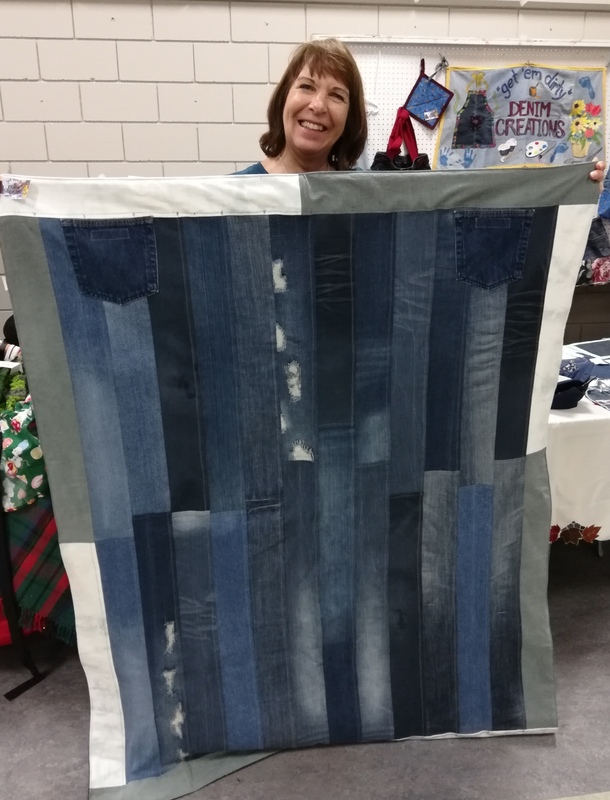 This denim blanket is made of repurposed jeans and is lined with super soft fleece. These vendors had trucks and planes made out of assorted candy, and crayons that look like lego. 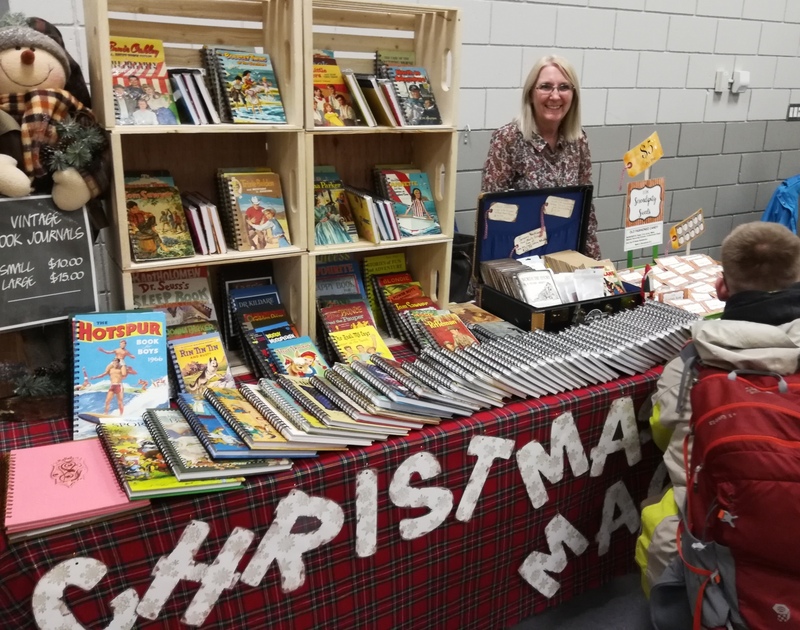 These kids were hard at work selling their homemade hand cream, lip balms, bags and grandad’s book. 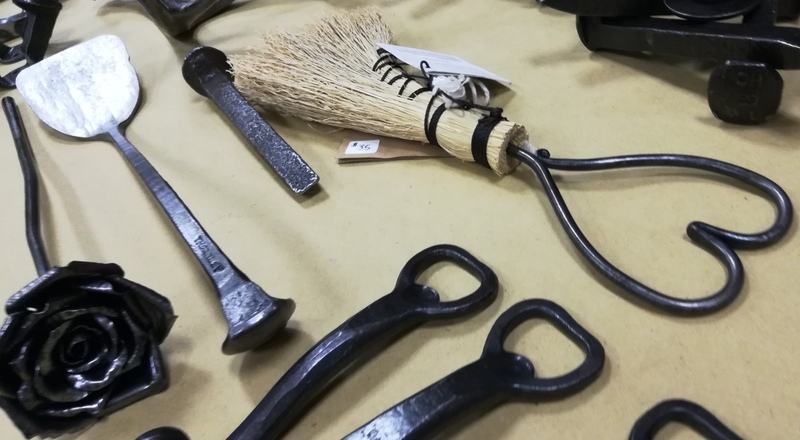 Some of the beautiful blacksmithing work. Learning the trade from his dad. These blank notebooks are made from old novels. Have you found one of your favourite covers yet? 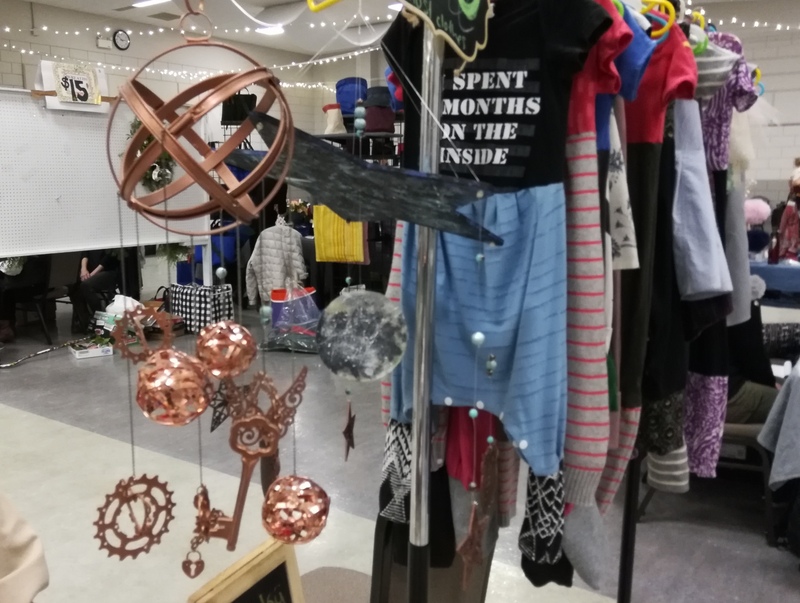 Rockit Events also makes the coolest mobiles and rompers.